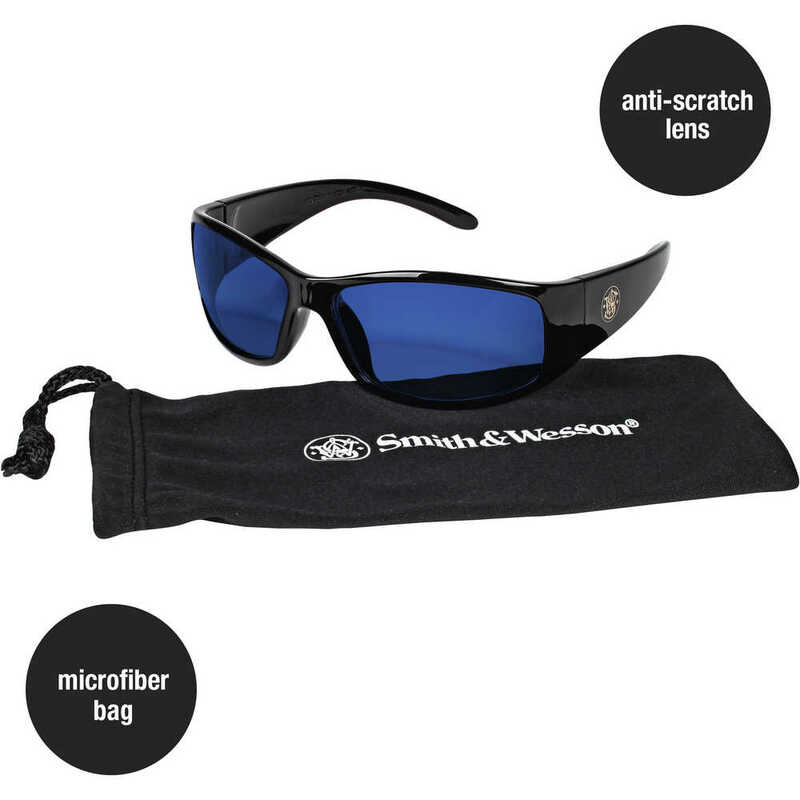 Smith & Wesson Elite Safety Glasses, with Blue Mirror Lenses with Black Frames, are designed to be both stylish and comfortable, with a range of options for workers that want to exhibit their individuality during both work and play. 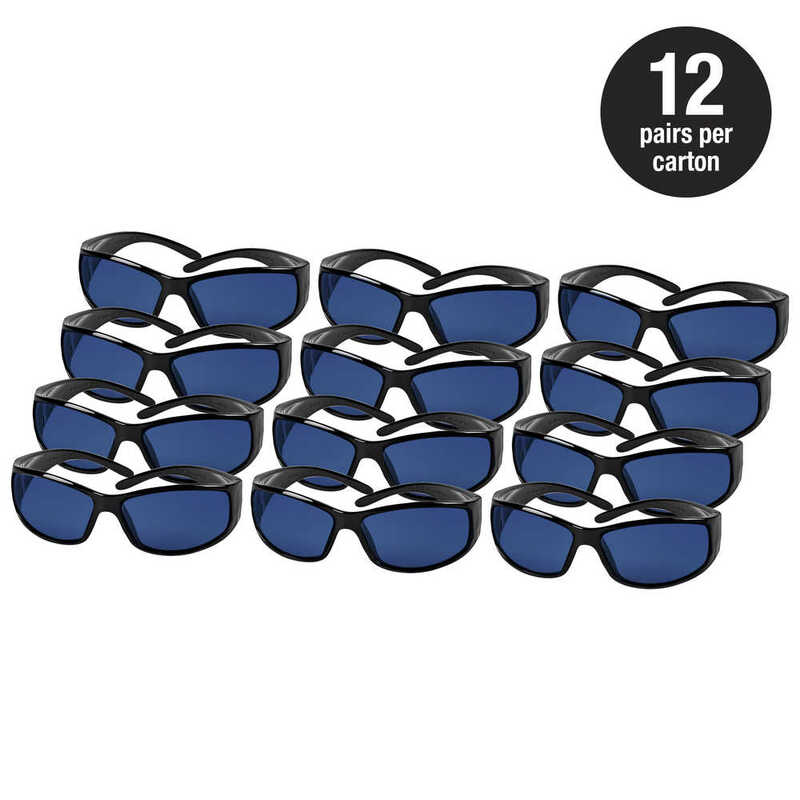 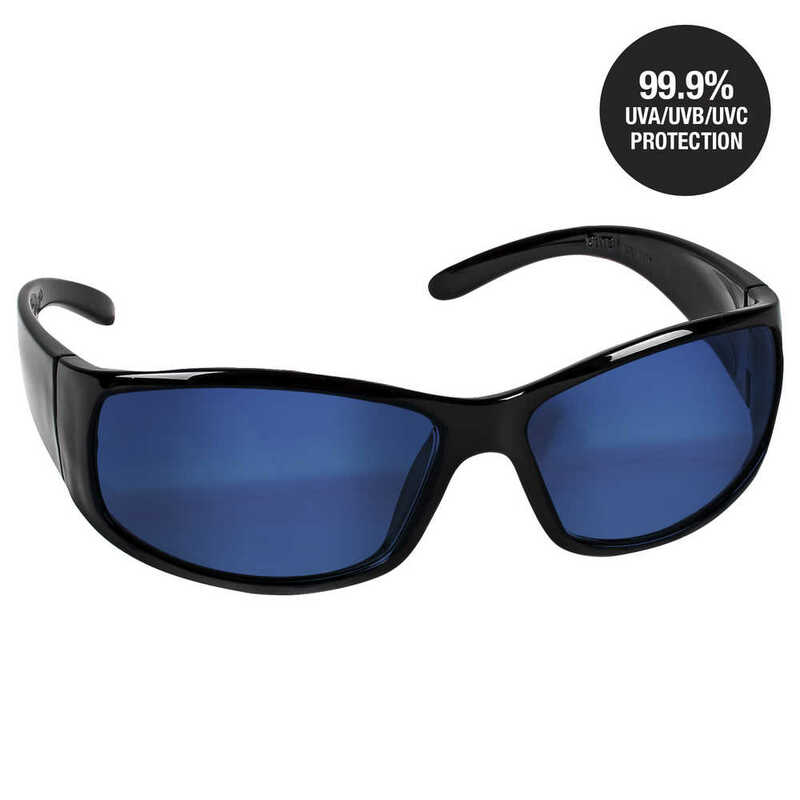 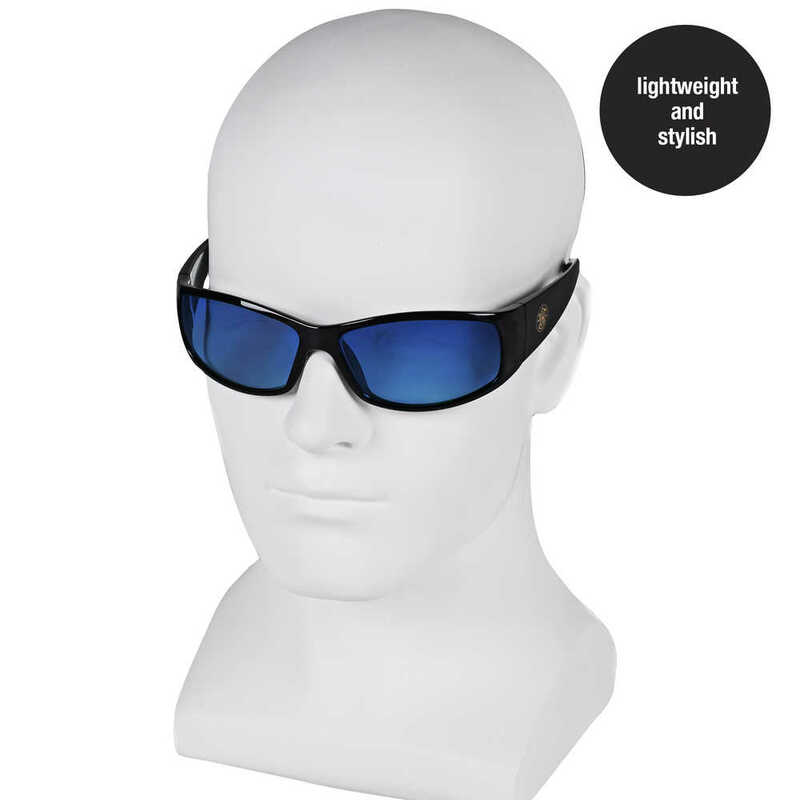 These safety sunglasses are lightweight and feature a retro design that provides a stylish fashion statement. 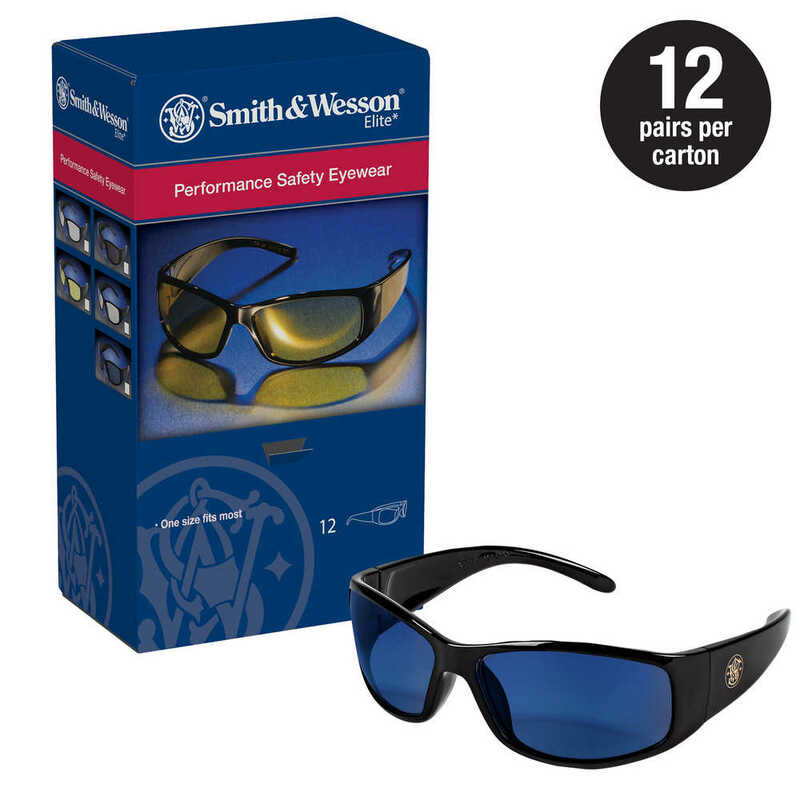 With wide temples and the fashionable Smith & Wesson monogram, the Smith & Wesson Elite safety glasses offer a fashionable solution designed for all-day comfort whether you are on the job, at the gun range, doing yard work, or driving. 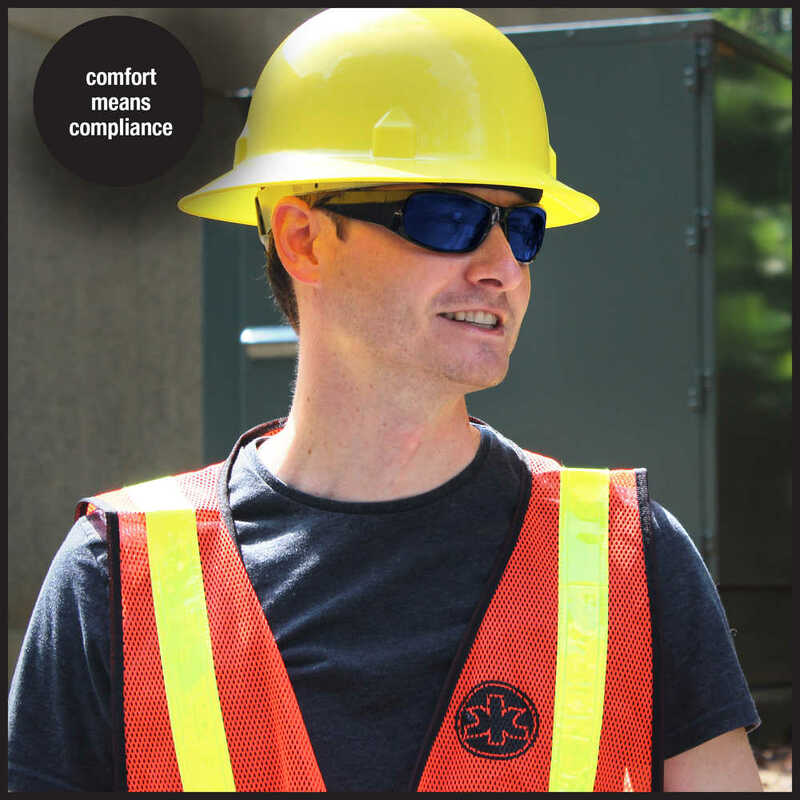 You might be wearing safety glasses, but you don’t need to look and feel like you are.